This is a study of the place of patron saints in Frankish society during the Carolingian and early Capetian periods. 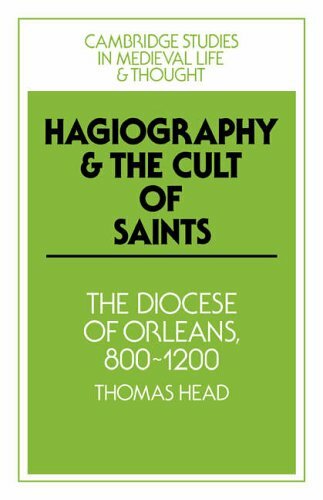 The book focuses on the composition of works in praise of dead holy people - hagiography - and the veneration of their physical remains - the cult of saints. It examines the patrons of a single diocese, Orléans, because a saint's power of patronage was defined in terms of a particular locale. Beyond the documentation of this region's textual and institutional traditions, the book explores the uses made of sanctity and patronage by the Franks. These so-called 'fathers' protected monasteries against interference by ecclesiastical and secular authorities. Moreover, as inhabitants of God's court of heaven, these 'fathers' served monks and laypeople as intercessors with God in matters of sin and disease. Thus they provided, in the Orléanais and elsewhere, an important source of power and authority, as well as an aspect of Christian belief which was shared by clergy and laity.